Good to read/scan before doing Kapparot to connect to the meditation of the Holy Ari. 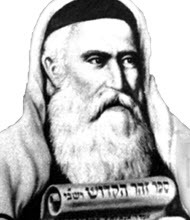 Translation of the upper Hebrew section from the writings of the Ari, Gate of Yom Kippur as it was written by his student, Rabbi Chaim Vital. The practice of my teacher was to slaughter a white rooster, on the eve of Yom Kippur in the early hours of the morning after Selichot, repentance. He will get chickens for his household, a male for male and female for female. This is the secret of forcing Gevurot. . And if the woman is pregnant he will get one for her and two for the baby one male and one female. For a male a rooster as it called גבר, man. It is the secret of the Gevurot of Yessod that is called גבר, a man, is the secret Nukva (female) and day ninth against the Yessod. And we slaughter her to sweeten the Gevurot of Yessod in it and subdued them but on Yom Kippur, the Gevurot are of Malchut and it include harsh judgment. Against them the goat that was sent out (by the high priest on Yom Kippur). So this rooster is like the goat, but he is sweetened more in the early morning hour, a time when mercy (energy of) increases. what is the essence of the difference between the Gevurot of Yesod and those of MAlchut? I would think by definition both would be harsh if not sweetened?